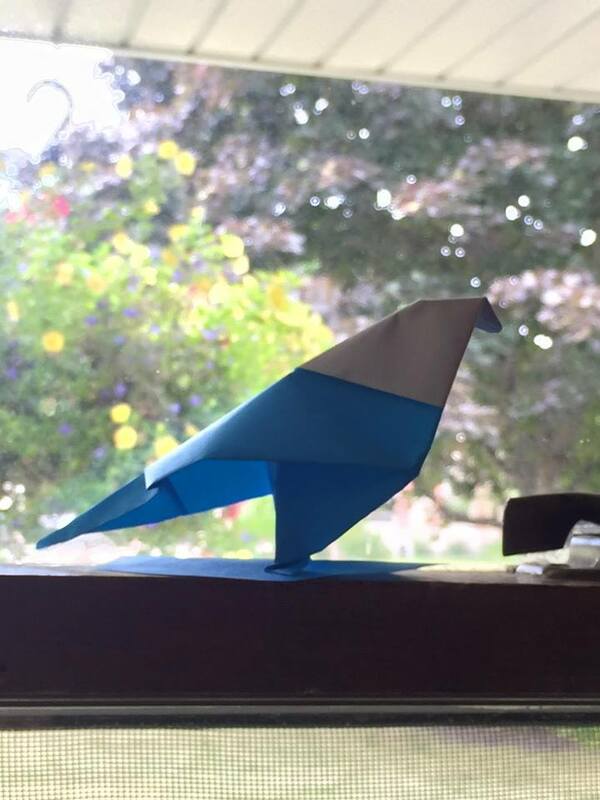 Mary told Thomas that I love my blue bird that he made for me, and he was so happy! Thomas was placed for adoption by his family in China “out of love” Mary said, “because they couldn’t care for him and wanted him to have a better life.” They don’t know anything else about his biological family. He lived in an orphanage for 17 months, until Mary and her family adopted him at age 18 months. As Mary says, “they are his forever family.” Mary feels that God is the one who placed Thomas in their lives, and them in his life. She also said that he is such a sweet boy, which I can confirm, through his act of kindness toward me, it shows that he has a love for giving, and wanting to make people feel better, which is exactly what his little blue bird did for me!! Hmm, I wonder where he gets that trait from! If you know his MOM, you know why I say that, Mary is like an Angel here on earth. (She’s gonna be mad at me for saying that.) Not only did she set up our meals to be delivered through our ministry at church, she also delivered my prayer shawl, that she requested for me, I didn’t even know such a ministry existed! Mary said that her heart melts for all 5 of her children equally, and knows that there are so many families out there that are looking for their own forever families. They had a wonderful experience with Bethany Christian Services, so if you are moved to adopt or want more information on domestic or international adoption, please visit www.Bethany.org. Who knows, God might have plan for you, or for a little boy or girl that is waiting for their forever mommy and daddy to find them. Next Post Finding A Mentor – It Makes A World Of Difference – For kids with type 1, and you!